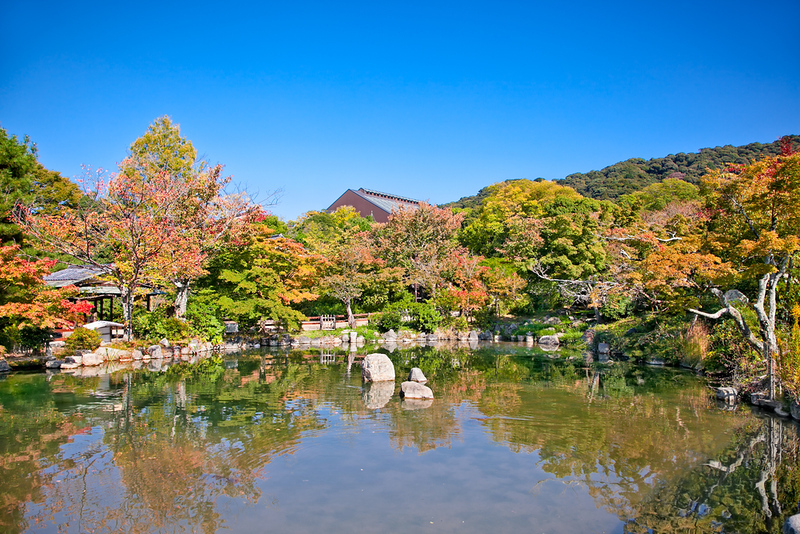 An oasis of green amid the Southern Higashiyama Sightseeing District, Maruyama-koen Park is the perfect spot for a rest or picnic while exploring the area. Complete with a duck pond, some gurgling streams and some of the finest cherry trees in all of Kyoto, Maruyama-koen Park is a brilliant little park tucked up against the base of the Higashiyama Mountain, sandwiched between Yasaka-jinja Shrine to the south and Chion-in Temple to the north. If you’re in Kyoto during cherry blossom season, this is the place to come to see some serious hanami (cherry blossom viewing) parties, but be prepared for crowds and plenty of public drunkenness (fortunately, this sort of thing rarely leads to fights like it does in other countries). 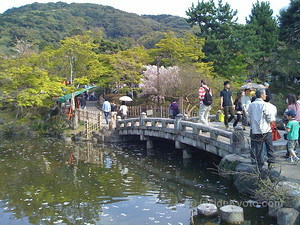 Maruyama-koen Park is located in Kyoto’s Southern Higashiyama district. 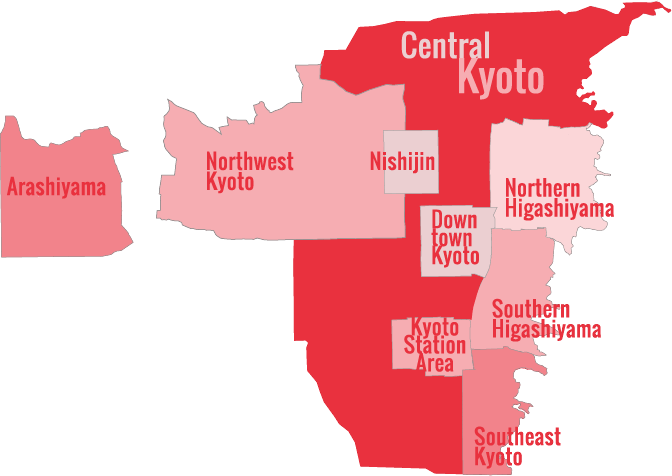 See our complete list of things to do in Southern Higashiyama, including places to eat, nightlife and places to stay.